Through the Healthy Conversations initiative, Revital H Woman will encourage women to interact with expert nutritionists to understand and address their nutritional needs. 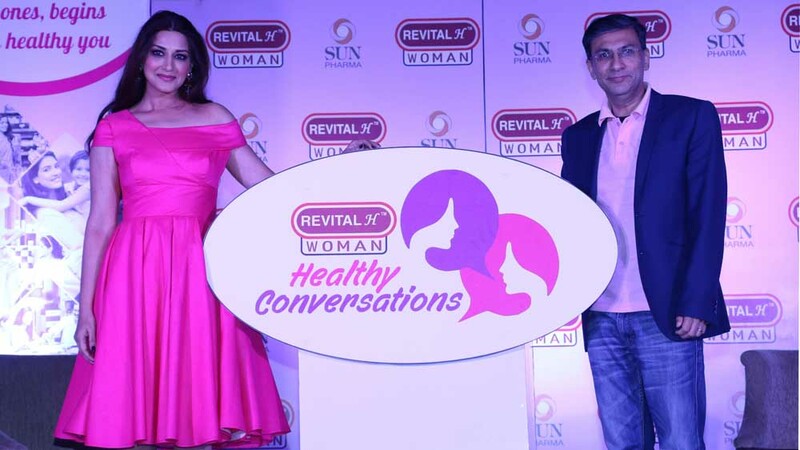 Sun Pharma’s Global Consumer Healthcare business today announced the launch of Revital H Woman's ‘Healthy Conversations’ initiative in India. This initiative aims to initiate a conversation about women’s health, its impact on the health of their family and overall society and encourage women to understand their health requirements. Revital-H Woman’s Healthy Conversations will reach out to women across 20 cities in India. Revital-H Woman has created a special digital platform to reach over two million women in three months. Through the Healthy Conversations initiative, Revital H Woman will encourage women to interact with expert nutritionists to understand and address their nutritional needs. Participating women will take an online health test at Revital’s website to know their current Health proportion. As part of this initiative, every participant can avail a free diet chart and nutritionist consultation through an online chat. Revital H Woman has partnered with Lybrate, an online doctor consultation platform, to create a seamless experience for consumers participating in ‘Healthy Conversations’ initiative. This collaboration with Lybrate ensures that a team of professional nutritionists, on the Lybrate platform, will be available to provide online consultation to all participants. Revital H Woman is a Daily Health Supplement which has been specially formulated for women, keeping in mind their special needs. Vitamins and minerals are essential nutrients to keep the body healthy.